Book now for this very well-received event with a panel of expert speakers. Free Zero Carbon Hub guides x 4 for all attendees! Does an airtight building result in an unhealthy internal environment? What are the health consequences of poor indoor air quality? What ventilation solutions are there to protect the occupants? In the past, under-ventilation of buildings was not seen to be much of an issue due to the unintended gaps in the external envelope providing plenty of fresh air to the occupants. However due to improved workmanship, higher airtightness standards and legislative requirements, newer buildings are more airtight resulting in less uncontrolled fresh air entering buildings. Improved airtight standards are to be welcomed as they reduce heat loss, lower carbon emissions and create a more comfortable internal environment but there is an increasing amount of concern that as we tighten up our buildings we are we creating unhealthy indoor environments that affect the well being of the occupants. The implications of poor indoor air quality (IAQ) can be very serious – sick building syndrome, reduced productivity in offices and poor learning in schools. Ian Mawditt from fourwalls will join a panel of speakers at this seminar to discuss the main problem areas, present case studies illustrating good practice and outline solutions including the Building Services Guide by the Zero Carbon Hub. 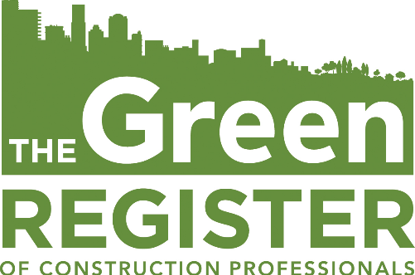 Visit The Green Register site for booking information.